Just 10 days left for Christmas Eve. I don't have specific plans yet. Maybe hang out with my cousins and have dinner together. 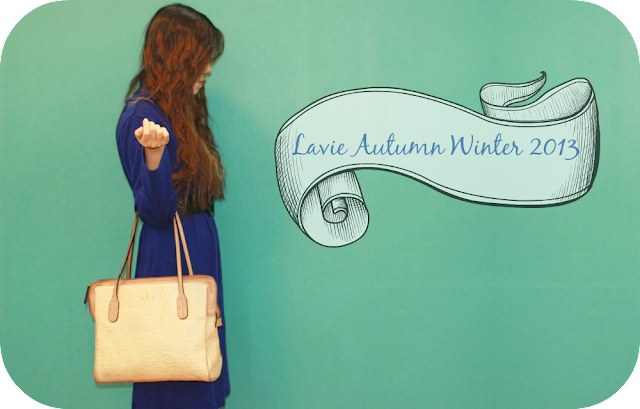 I'm here with an Outfit post -which i wore to the Lavie AW 2013 Collection launch. Read about the post HERE. They have some gorgeous pumps but very limited size options so i picked a Bag instead. it is beige with faux crocodile pattern. This bag will go with any outfit. 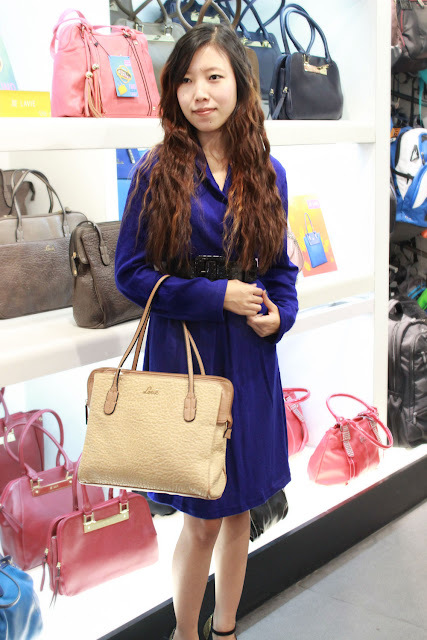 I loved your bag Awungshi.. The first pic.. I didn't recognise that it is you.. I thought that was Lavie's banner.. :D :D loved it..
u look great...love how u style ur hair and that dress look fab on u! Love the color of your dress, its my fav kind of blue....You look so serene and pretty. The bag is a great pick. I love that dress, I kinda like Anita Dongre's stuff..!! 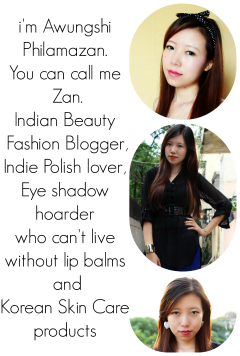 I picked a denim top from AND yesterday.. :D :D BDW, you look adorable! Very pretty outfit, loved it. you are looking so adorable and cute!! love your outfit!